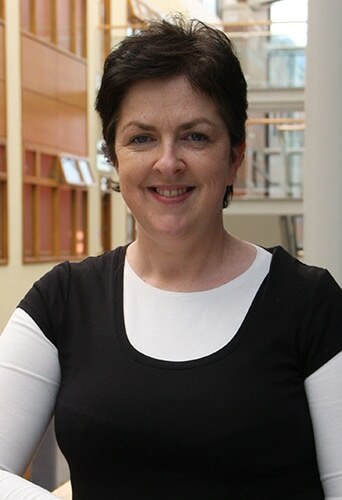 Fiona Regan, Associate Professor in Environmental Sensing since 2009, has driven the initiative to establish the Water Institute at DCU since January 2013. Fiona studied Environmental Science and Technology at the Institute of Technology in Sligo and graduated in 1991. After completing her PhD in analytical chemistry in 1994, and postdoctoral research in optical sensing in 1996 at DCU, she took up a position at Limerick Institute of Technology as lecturer in Environmental and Analytical Science. In 2002 Fiona returned to the School of Chemical Sciences, DCU, as a lecturer in analytical chemistry, in 2008 she became senior lecturer and in 2009 became the Beaufort PI in Marine and Environmental Sensing. She established the Marine and Environmental Sensing Technology Hub (MESTECH), DCU in 2010. As Director of MESTECH she also coordinates the Marine ICT SmartBay research activities under PRTLI V, leading the National Infrastructure Access Programme (NIAP) and the International SmartOcean Graduate Enterprise Initiative (ISGEI). Fiona’s research focuses on environmental monitoring using sensing and passive sampling. She has special interest in priority and emerging contaminants as well as the establishment of decision support tools for environmental monitoring using novel technologies and data management tools. Her work includes the areas of separations and sensors, materials for sensing and antibiofouling applications on aquatic deployed systems.